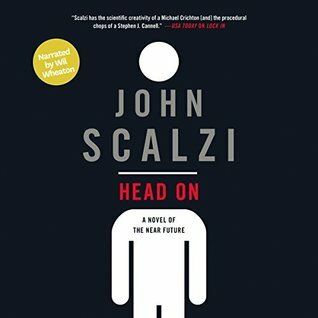 Head On by John Scalzi is the companion follow up to Lock In. I was excited to return to this science fiction world altered by a virus known as Haden’s syndrome. Head On has us tagging along with FBI Agent and Haden-related crime investigators, Chris Shane. Narrated by Will Wheaton Scalzi transported me and I became caught up in this procedural crime novel. Scalzi delivered a witty, clever mystery that fed my inner nerd, piqued my curiosity and had me laughing out loud. The reason Hilketa is so popular is that the players score points through simulated decapitation and go after each other with melee weapons. It’s team gladiatorial combat, on a football field, with a nerdy scoring system. It’s all the violence every other team sport wishes it could have, but can’t, because people would actually die. You loved getting your geek on, but want the technology delivered in layman’s terms. 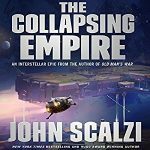 Scalzi is masterful with world-building and has created a fascinating dystopian world that feels realistic and believable. The reader quickly comprehends the Haden virus and new technological advancements make the leap to this world seem grounded. If you love procedural crime novels, you will love tagging along with FBI Agents Chris Shane and his partner, Leslie Vann. The two are investigating the death of a Hilketa player who dies during the game. Clues lead them to scandal and corporate greed all while providing near-death experiences, witness tampering and Shane losing one-two-many Threeps (machines that Hadens’ move around with). You appreciate witty humor, brilliant detective work, and strong characters. I like Agent Shane; he is direct and to the point. Scalzi lets the reader be a part of Chris’s thought process as he works the case but also gives us moments with his family, friends and the daily trials of living with Haden. Secondary characters from suspects to associates added depth and further fleshed out the plot. The case was riveting with plenty of twists, turns, and false leads. During the investigation, it showcased how the corporate world uses laws not specifically intended for them to pad their bottom line. It was a relevant topic and added believability to the case. Wil Wheaton narrated, and he is perfect for this series and characters. His wide range of voices both male and female, pacing and tone enhanced an already brilliant story. His narration took the story to the next level. If you’d prefer you can listen to the story narrated by Amber Benson who does a stunning job. The world, characters and action-packed mystery have me hoping we will visit this world again soon! I agree this was so good. I’m glad you enjoyed Will’s narration as much as I did. Yay. Happy to hear you enjoyed it as well! I’m really excited to try this book. I loved the first one. I listened with Wil Wheaton. I thought about trying the female narrator this time around. I love the idea that Chris can be a man or a woman, we’re never told for sure. Great review. Right. I think is so cool, but it’s Will so..there ya go! This sounds like a winner to me. 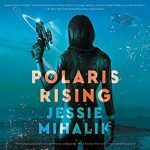 I have several Scalzi titles available on my TBR but I just added this to my wish list to pick up. Thanks for sharing your thoughts and enthusiasm. Not sure about this kind of science fiction-I’m so picky about what I like. You make it sound fantastic. I have listened to a book narrated by Amber Benson and thought she did great. Now that was a UF series that was 5 stars all the way for me but that’s a whole other story. I don’t think I’ve listened to Wheaton before? Maybe. Glad you loved this one. I love this author. Maybe your library has it? I really enjoyed this one too! But Scalzi is one of my favorite authors and I have yet to read one of his books I didn’t love. 😉 I also listened to this one too and Wil Wheaton is perfect for all the reasons you mentioned. Yes, these two are perfectly paired! This isn’t my usual type of book but I’ve been wanting to try John Scalzi and I’m up for anything that’s narrated by Wil Wheaton! I hope you start with Lock In, narrated by Will. John is wonderful to read. 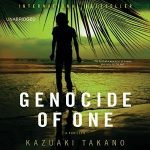 This does sound really gripping- fantastic review! Will Wheaton…I would want to listen for that reason alone. I love him. Great review, Kim. Sounds like another good one for the Syfy channel. Thanks for the post. Have a great weekend. I totally missed that there is follow up! Yay. Did you go with Will or Amber? Will. All the ones I have of his are Will. After just reading another In Death series book, this blend of sci-fi and investigation work is just what I’m in the mood for. Still need to read/listen to book one. I didn’t realize there was a follow up to Lock In. I loved that one. I don’t remember the details too much though – would that be a problem? No Karen, as soon as you begin listening (or reading) the world comes back to you. This shares a great murder-mystery. I’m not big with scifi, but dang! The story really sounds interesting plus I love those cover! I love the world he has created. This is written in such a way that it will entertain a broader audience. I encourage you to see if your library has it and try a few chapters. I think if mystery and crime are favorite genres this would be a fun one to try. I, of course, recommend Lock In, first, however this hold on its own. I still haven’t read Lock In, it’s been on my kindle forever. I’m really glad you enjoyed this second installment, though, Kim. I loved it!. 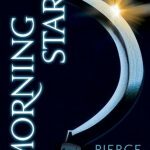 If Amazon offers audio deal, I recommend listening.